Move in and out with ease. With exceptional and accessible loading space for all our exhibit halls, you should find your set up and tear down completely seamless. For full details on our easy parking options, please visit our parking page. For questions pertaining to move-in/move-out facilities and times, please refer to your Exhibitor Kit supplied by Show Management, or speak directly with your Show Manager. As well, any questions can be sent through to general enquiries. We recommend that goods are shipped through the contracted show decorator to ensure efficiency; as well, the Centre does not receive exhibitor shipments prior to the exhibitor move-in days. Please ensure that all shipments include the name of the event, the room number or exhibit hall, booth number, and company name. It is possible that you may need to be present to sign for any packages upon delivery. 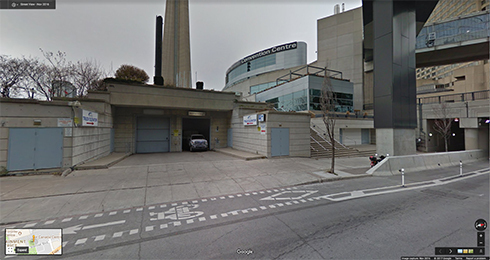 We have established a vehicle marshalling yard for the Metro Toronto Convention Centre at 100/120 Cherry Street in order to facilitate move-in and move-out of events. Move-in/out information/bulletins will be provided by Show Management; any variations to the procedures below will be noted. Please download the pdf on our vehicle marshalling procedures here. 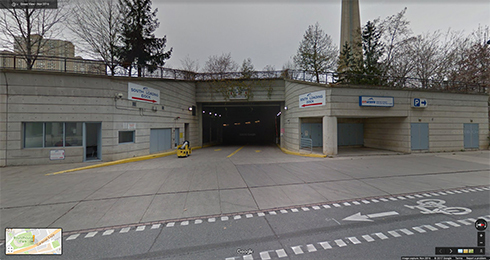 Please note that vehicles will be held in the marshalling yard before and after Rogers Centre events where pedestrian and vehicular traffic block access to the ramp. Times for these periods will be scheduled on an individual basis as schedules warrant. Vehicle marshalling inquiries – Tel: (416) 585-8345 / (416) 585-8278 or cell number (416) 529-3461. To view a map, please click here. Slight left onto Lakeshore Blvd. Turn right onto Lower Simcoe St. Turn left onto Wellington St. Turn left onto John St.
Head through the intersection and up the West Ramp Entrance to the Exhibit Hall(s) will be to your left. Turn left toward the Convention Centre Internal St. Entrance to the East Loading Dock will be immediately to your left. 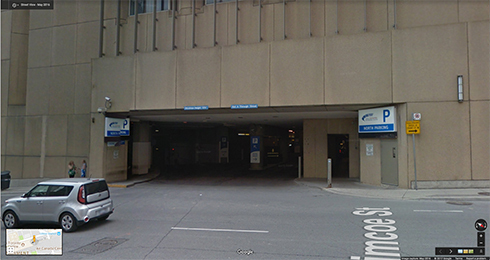 Entrance to the West Freight elevator: continue through Internal St. towards the parking exit, Loading Docks for West Freight will be to your immediate right. 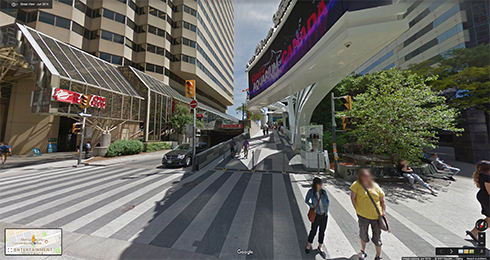 Turn right onto Lower Simcoe St. Entrance to Loading Dock will be immediately to your left. Entrance to the Truck Elevator is 80m ahead to your left.